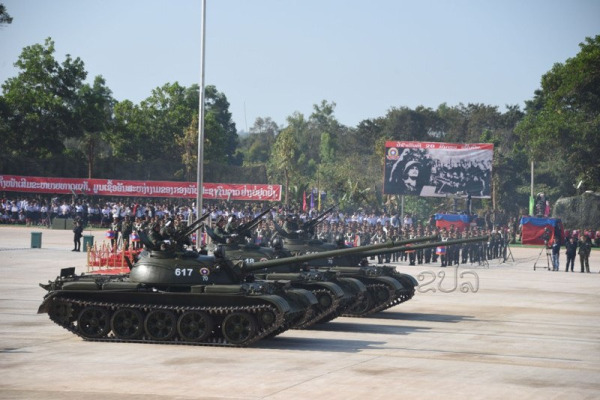 (KPL) The celebration of the 70th anniversary of the Lao People’s Army was held this morning at the Kommadam Academy of the Ministry of National Defense in the presence of President Bounnhang Vorachit, Prime Minister Thongloun Sisoulith, other Party and government leaders, senior military officials, former leaders, foreign military officials and representatives of mass organizations. January 20 commemorates the establishment of the Lao People's Army to repel foreign aggressors and defend Laos against invasion. 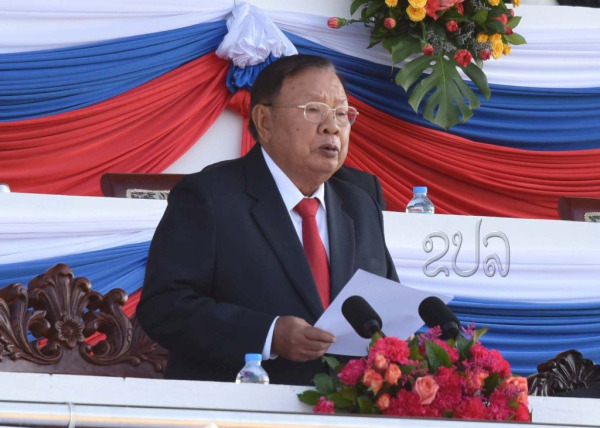 The Lao People's Army, known originally as the Lao Issara Army, was officially established on January 20, 1949, in the zone of Laohoung Phiengsa in Xiengkhor district, Huaphan province, by President Kaysone Phomvihane, who was also commander of the army.